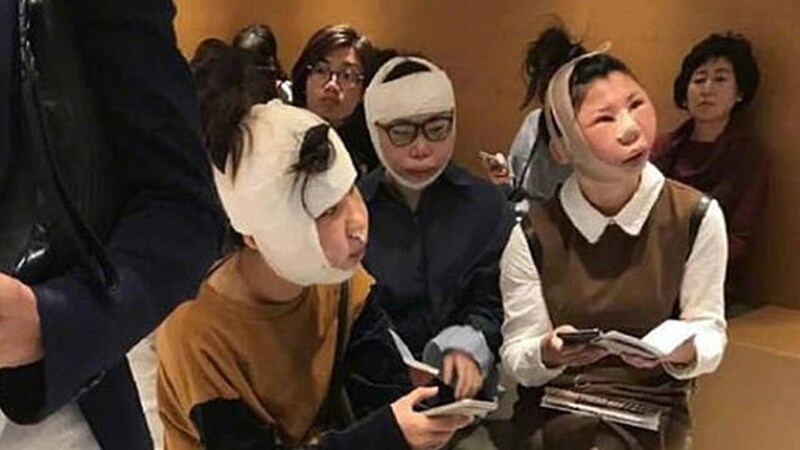 Chinese women are stuck at the airport because of disfigured faces after plastic surgery! Three Chinese women faced difficulties on passport control at the airport because of the appearance changed after plastic surgery. This is reported by Daily Mirror. Women went to South Korea during the autumn Golden Week – a Chinese holiday, which is celebrated for seven days. They did plastic surgery and got ready to go home, but they were stopped on passport control.